U.S. Green Building Council for LEED Core & Shell Certification. 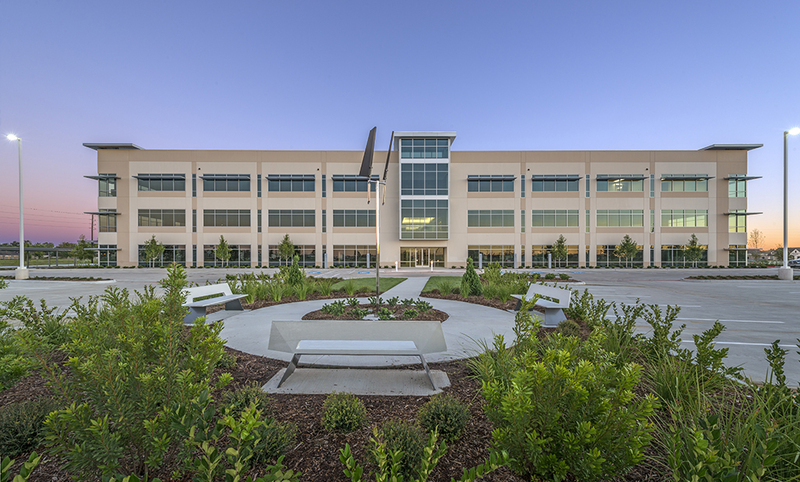 The building exterior consists of concrete, tilt-wall panels, and extensive energy efficient glazing with key sun shading louvers. 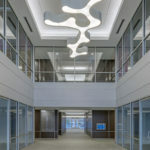 A two story entry lobby with a freeform chandelier greets tenants and visitors. The site improvements include a sculpture garden with a kinetic installation by Edward Lee Hendricks.